The FDA issued a Safety Communication on December 7, 2011, on the use of Pradaxa to prevent stroke in patients with atrial fibrillation. While the risk of serious bleeding is known to be a side effect of any blood thinner, post market reports indicate that Pradaxa may cause serious bleeding more often than expected. Pharmaceutical drug manufacturers, including the makers of Pradaxa, Boehringer Ingelheim, may be held liable when their drugs cause injuries to patients. This is especially true where, as in the case of Pradaxa, they do not inform doctors and patients of all the potential risks, side effects and dangers. The undisclosed increased risk of a Pradaxa heart attack or death from Pradaxa internal bleeding has resulted in numerous Praxa lawsuits being filed. 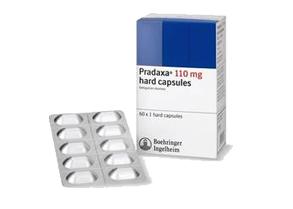 These lawsuits allege that the maker of Pradaxa did not provide adequate warnings to Pradaxa users regarding the increased risks. If you or a loved one has suffered an injury related to the use of Pradaxa, you may be able to seek compensation for your injuries with a Pradaxa lawsuit. Alone, or in combination, a patient taking Pradaxa must seek prompt medical attention if these symptoms appear. A patient does not need to take the medication for an extended period of time before experiencing adverse side effects according to both the FDA and USA Today.